While the GGHH is a young organization, some very well-respected institutions have become founding members in all three membership categories: Hospitals, Health Systems, and Health Organizations. This roster includes institutions from countries on six continents. Hospitals in Asia play a vital role in this global network. 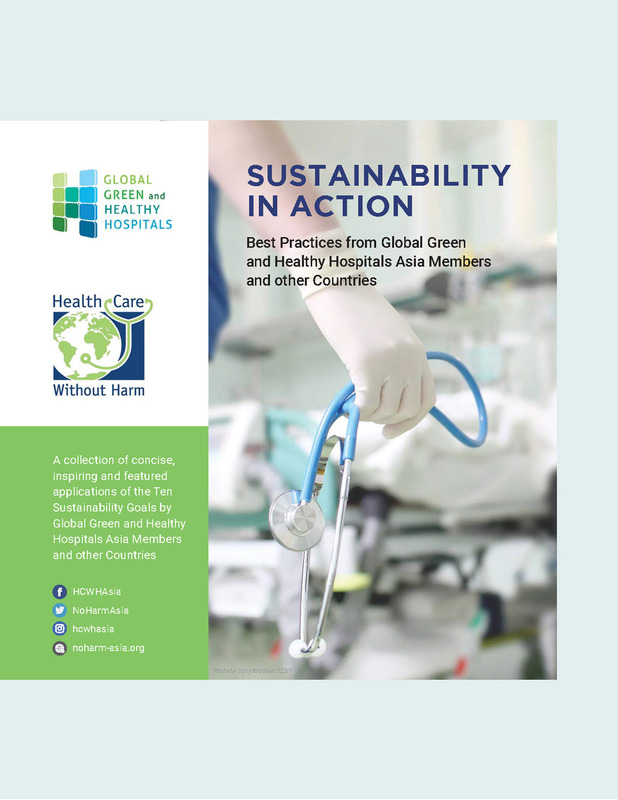 Below are lists of hospitals, health systems and organizations in the region that have pledged to adopt greener and healthier procedures. Department of Health - GREEN and CLEAN Hospitals Program (Thailand) with its 746 hospitals and 3,099 sub district hospitals under the Bureau of Environmental Health, Department of Health, Ministry of Health is one of the health system member to the Network committing to publicize through the GREEN and CLEAN Hospitals program the Agenda and encourage their members to join and share their experiences. The system pledged to work on four goals: leadership, energy, waste, and food. St. Paul de Chartres Health Care Ministry (Philippines). Thirteen hospitals under the SPC Health Care Ministry have aligned to goals of using only safer chemicals in the hospital while also properly managing their wastes. Yonsei Univerity Health System (Korea). 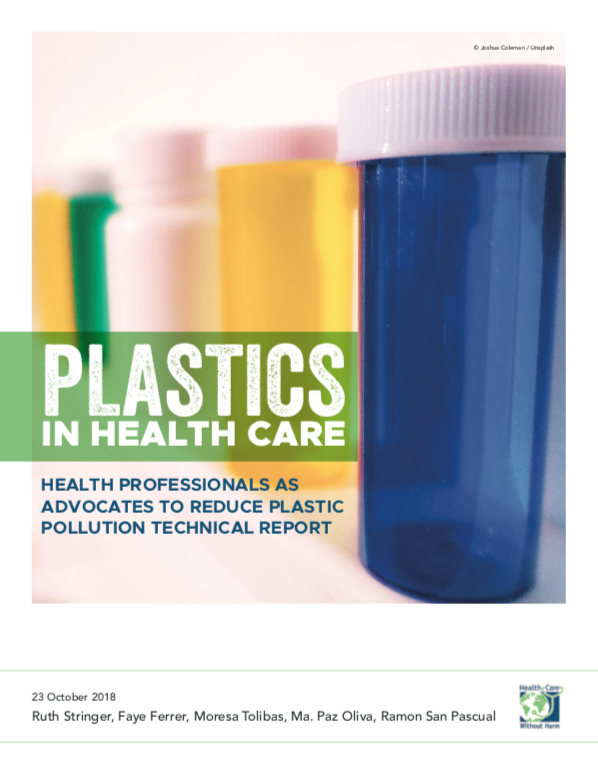 Five hospitals under the system have pledged to work on the goals towards reduction, treatment, and safe disposal of health care waste, and support to green and healthy hospital design and construction. Chinese Hospital Association Hospital Architecture, System Research Branch (China). 150 hospitals. Indonesia Hospital Association (Indonesia), an umbrella organization for more than 1,234 hospitals, collaborates with the government of Indonesia to promote national health care programs and provide technical consultation to help local hospitals improve management skills. As a founding organization member of GGHH, IHA will encourage its own members to join the Network. Korea Network of Health Promoting Hospitals and Health Services (Korea). 33 hospitals. American Mission Hospital (Bahrain). The hospital vowed to work on leadership, food, waste, and purchasing. Beijing Ditan Hospital (China). The hospital is working on the waste and energy goals. Bir Hospital (Nepal). Bir Hospital is working on waste and energy goals. 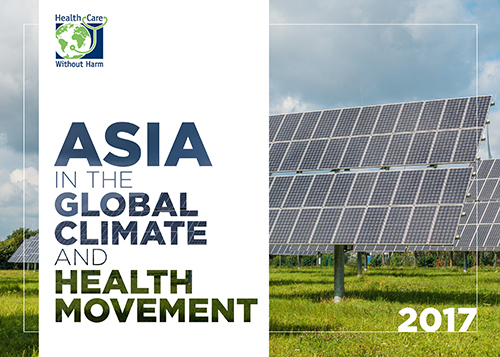 Buddhist Dalin Tzu Chi General Hospital (Taiwan) will adhere to the waste and energy goals. Buddhist Tzu Chi General Hospital (Taiwan) is working on waste and transportation. Chia-Yi Hospital (Taiwan) works on leadership, purchasing, and building. Dansai Crown Prince Hospital (Thailand) is working on waste and energy. GP Genesis Dialysis Clinic and Diagnostic Center (Philippines) commits to work on energy efficiency and green and healthy hospital design. Gunjaman Singh Memorial Trust (Nepal) is working on chemicals, waste, and energy. KK Women's and Children's Hospital (Singapore) is working on leadership and waste. King Fahad Medical City (Saudi Arabia) is working on chemicals, waste, pharmaceuticals. National Cheng Kung University Hospital (Taiwan) is working on waste and energy. 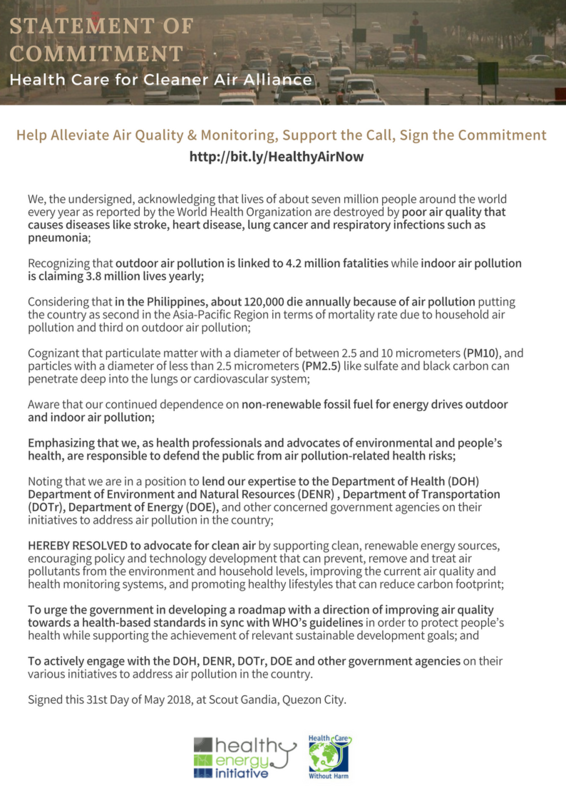 Philippine Heart Center (Philippines) is working on leadership, chemicals, waste, transportation, food, and building. Pushpanjali Crosslay Hospital (India) is working on leadership, waste, and energy. Regional Health Promotion Center 5 (Thailand) will conform to the goals on waste, energy, and water. Regional Health Promotion Center 8 (Thailand) commits to leadership and waste goals. Taipei City Hospital Zhongxiao Branch (Taiwan) will follow-through on energy, water, and building goals. Vachira Phuket Hospital (Thailand) pledges to work on waste and enegy goals. Western Regional Hospital (Nepal) is working on leadership and waste goals.